The busiest airport on the United States’ west coast, Los Angeles International is unique among the country’s largest airports in that, while all major domestic airlines have significant operations at the airport, no single carrier has a dominate share of passenger traffic. LAX’s passenger complex consists of nine terminals arranged along a two-level loop roadway that makes what is essentially a large U-turn around parking facilities, as well as the airport’s iconic space-age theme building and air traffic control tower. The upper level roadway is the ticketing level for departures and the lower roadway is the baggage claim level for arrivals. Because there are more than 10 gates in each concourse, gates often also include a letter, such as gates 52A-52J. A courtesy shuttle bus, labeled the A Route, travels the lower level roadway outside baggage claim between airline terminals. Passengers leave the TSA secure area to use the service. It is popular for international arrivals at the Tom Bradley International Terminal who are required to exit security after going through U.S. Customs. In many other cases passengers can avoid leaving the TSA secure area when making connections by using walkways that connect terminals 4, 5, 6, 7, 8 and the Tom Bradley International Terminal. (Between terminals 4, 5 and 6 the walkways are underground tunnels. The other connecting walkways are on the ticketing level.) Post-security connections are also available on shuttle buses from Terminal 1 to the Tom Bradley Terminal and between Terminals 2 and 3 and the Tom Bradley Terminal. A multi-billion dollar Automated People Mover train system, currently under construction, is due to open in 2023 allowing passengers to connect from the airport to a rental car and transit center outside the airport. 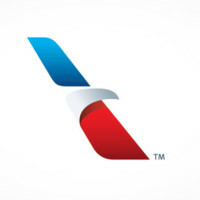 American Airlines flights arrive and depart at gates 40-59 in Terminals 4 and 5 and gates 110-159 in the Tom Bradley International Terminal. All of American’s gates can be reached without exiting the TSA secure area. Most flights operated on American Eagle aircraft arrive and depart from gates 52A-52J, which is in a remote terminal reached by shuttle bus. At Terminal 4 the shuttles arrive and depart near Gate 44 and at Terminal 5 they arrive and depart near Gate 50B. Otherwise, between terminals 4 and 5 passengers can use a tunnel accessed at the foot of escalators down from near gate 44 and at the mid-way point of the concourse in Terminal 5. Between Terminal 4 and the Tom Bradley International Terminal use the walkway near gate 41. Check in at Terminal 4 for flights departing from gates 40-49 and 110-159. Check in at Terminal 5 for flights departing from gates 50-59. 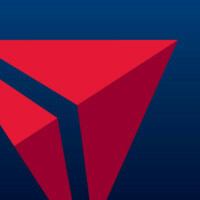 Delta Air Lines flights arrive and depart at gates 21-28 in Terminal 2, gates 30-39 in Terminal 3 and at gates in the Tom Bradley International Terminal. Connecting Delta passengers going between terminals can avoid exiting the TSA secure area by using a shuttle bus that operates from Gate 22A (Terminal 2), 35P (Terminal 3) and the north end of the Tom Bradley Terminal. Check-in counters are in both Terminal 2 and 3. 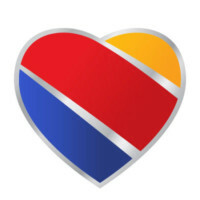 Southwest Airlines domestic flights arrive and depart at gates 9-18 in Terminal 1 and international flights use the Tom Bradley Terminal. Check-in counters for all departing flights are at Terminal 1. Departing international passengers take a shuttle bus to the Tom Bradley Terminal. Returning international passengers must exit the secure area after clearing U.S. Customs and then either walk or take the inter-terminal shuttle (A Route) to return to Terminal 1. Sun, surf, sand, beaches, glamour, Hollywood and show business and Disneyland all combine to make Los Angeles and Southern California a place of dreams. The region’s population is ethnically diverse with a strong mix of Hispanic or Latino residents along with Asian, African Americans, Native Americans along with many people of multi-ethnic backgrounds. Discover Los Angeles has visitor information here.